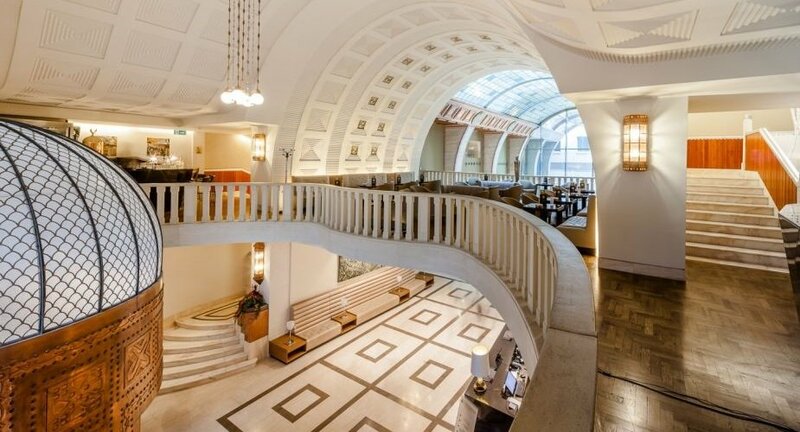 Another important element of the hotel’s gastronomic offering is the Gallery Café situated on the faithfully restored gallery level, where the main entrance is found. The world of Pest coffee houses was a very significant element of the turn-of-the-century bourgeois gastronomy. 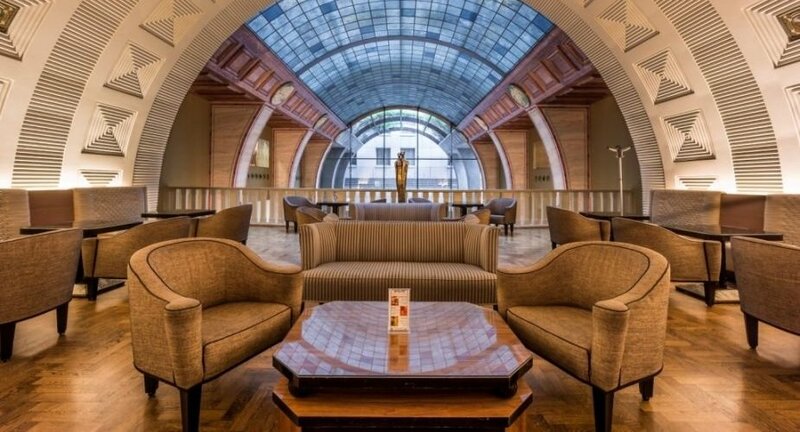 Previously, guests of the former Continental Hotel included artists and writers, such as the poet, Attila József, which were regular customers of the Hungaria Coffee House and frequently also used the services of the Hungária Spa. 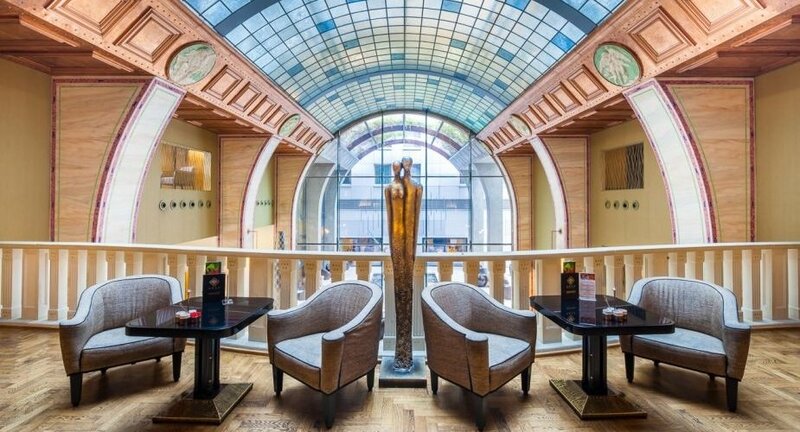 The Gallery Café of the Restaurant ARAZ leads its guests to the top of the coffee culture. The fragrant coffee beans made from the finest beans by perfect roasting provide the basis of our coffees which are made with one of the best coffee machines. The Molinari coffees made with the Elektra coffee machine are characterised by perfection. Enjoy this perfection in the Gallery Café! The menu includes sandwich specialties, various delicious salads and a range of cocktails. 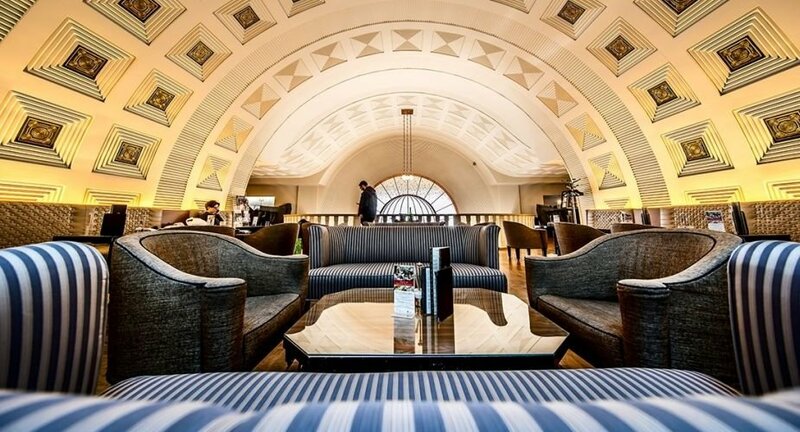 The Corporate Lounge can be also found on the level of the Gallery Café where we offer our guests complimentary internet access. Opening hours: 9:00 a.m. - 01:00 a.m.